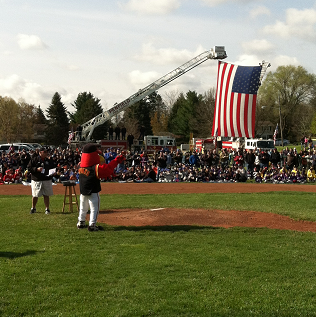 The Penfield Fire Company was invited to the opening ceremonies for the Penfield Little League this Saturday Morning. 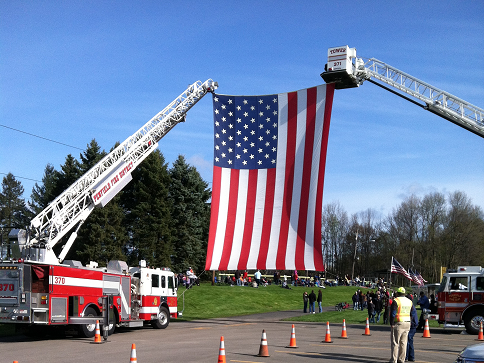 The Little League is celebrating 60 years this year with the fire company being one of the longest running sponsors. The chief lead the parade as several hundred little leaguers were eagerly awaiting to play ball. Displayed high above the field was an American flag proudly waving in the chilly morning breeze as the ceremony commenced.